The 2018 RAM 2500 is a heavy duty truck designed for your tougher jobs. That means it can can tow larger equipment and help you complete your bigger jobs in Floresville. With three engine options and the ability to tow tens of thousands of pounds, this truck’s performance is applauded by drivers and critics alike. With its standard engine, the RAM 2500 has a maximum towing capacity of 13,890 pounds and a maximum payload capacity of 3,060 pounds. With the 6.4L HEMI® V8 engine, this RAM truck has a Best-In-Class max towing capacity of 16,320 pounds and a 3,990-pound max payload capacity. When equipped with the 6.7L Cummins® Turbo Diesel I6 engine, the RAM 2500 has a max towing capacity of 17,980 pounds, and a max payload capacity of 3,160 pounds. Standard: The RAM 2500 comes with a standard 5.7L HEMI® V8 engine with Variable Valve Timing. that delivers 383 hp and 400 lb-ft of torque. Upgrade: The upgraded engine is a 6.4L HEMI® V8 that delivers best-in-class gas 410 hp and 429 lb-ft of torque. Diesel: Your third option is the 6.7L Cummins® Turbo Diesel I6 engine that delivers 370 hp and 800 lb-ft of torque. 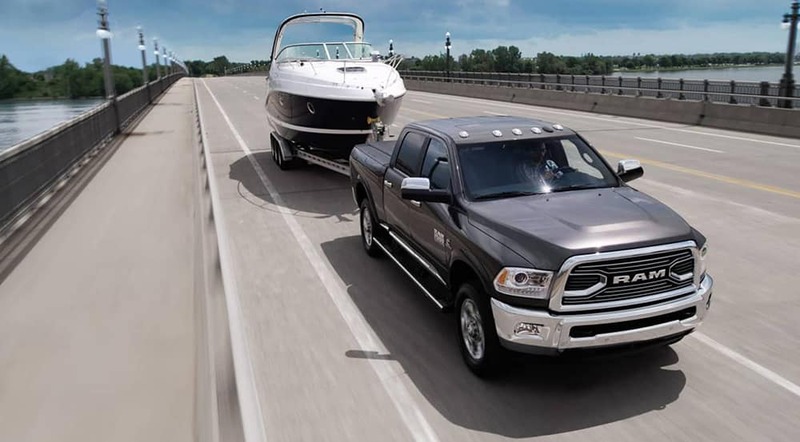 If this sounds like the towing capacity you’re looking for near San Antonio, then the RAM 2500 is the right pickup truck for you. 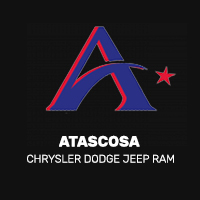 Check out our inventory online to find your ideal trim level, then contact us to set up a test drive at our showroom in Allways Atascosa Chrysler Dodge Jeep Ram.